In this week's Abundance Insider: Musk’s Mars announcement, photon teleportation and reversing paralysis. What it is: In a 90-minute speech given in Guadalajara, Mexico, Elon Musk voiced his intent to create a self-sustaining Mars colony with one million residents by the end of the century. It all starts with an initial mission to Mars in 2024 (yes, just eight years from now) via the Interplanetary System, a 100-person rocket built with 4X the power of the Saturn V booster. The rocket, at an estimated cost of $10 billion, would be able to propel space colonists into orbit at a per-person cost of $200,000. Starting sometime between now and 2020, SpaceX might "be able to spend about $300 million annually on the Mars launcher and spacecraft," as Ars Technica reports. What it is: The UN has announced its plans to eliminate extreme poverty (living on $1.90/day or less) by 2030, and according to the data in this article, it's possible. Trouble is, the public remains largely unaware. "A poll to be released Thursday by Motivaction, a Dutch firm, finds that only 1 percent of Americans surveyed realized that global extreme poverty had fallen by half over 20 years," the New York Times reports. What it is: University of Toronto spinoff Winterlight Labs is using machine learning and natural language processing, or NLP, to analyze patients' recorded speech patterns to identify Alzheimer's disease and dementia faster and cheaper than existing methods. The tablet-based prototype displays an image and asks people to describe it; next, a machine learning classifier analyzes 1 to 5 minutes' worth of these speech samples (at an 81% accuracy rate). What it is: Quantum scientists in Canada and the U.S. have successfully teleported a photon further than ever before -- 6 kilometers, or 7.3 miles -- using the fiber optic cable infrastructure at the City of Calgary. The news, which is published in Nature Photonics, comes just after Chinese researchers pulled off a similar demonstration in which they teleported a photon over 6.2 km in a metropolitan fiber network. 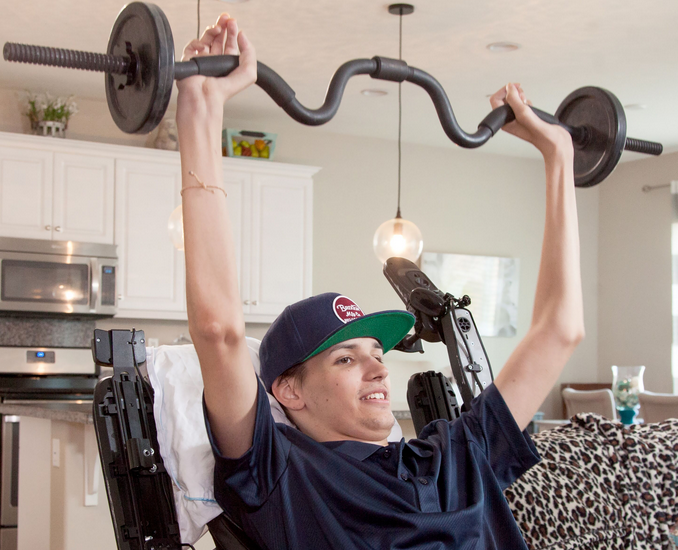 What it is: Doctors at the USC Neurorestoration Center and Keck Medicine of USC recently achieved a tremendous breakthrough in stem cell therapy, helping a paralyzed 21-year-old man regain control over his arms and hands. Kristopher Boesen, who was paralyzed in a car accident on March 6, received stem cell and other cell injections into his damaged spine. KurzweilAI reports that three months after the surgery, Boesen can "feed himself, use his cell phone, write his name, operate a motorized wheelchair, and hug his friends and family." What it is: Starship Technologies is getting ready to test food-delivering robots in Washington D.C. Packed with nine cameras, numerous sensors and an incredibly accurate GPS system, the wheel-based autonomous robot travels at a max speed of 4 mph. To combat the robots' slow speed, Starship Technologies has partnered with Mercedes-Benz to design a van customized to hold eight of these delivering robots, enabling a swarm-based approach to streamline deliveries. What it is: Chemists from the University of Erlangen-Nürnberg (FAU) in Germany and the University of Vienna have created flawless, high-quality graphene from graphite -- a world first. By adding the solvent benzonitrile in the production process, they were able to cut graphene in a non-destructive fashion and set specific electronic properties. 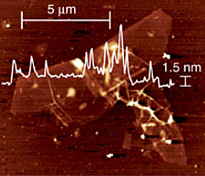 "That makes this new scalable, inexpensive method for graphene production a significant improvement over previous wet-chemical approaches, which have size limitations and excessive defects, lowering the conductivity," explained KurzweilAI. What it is: Datawind has announced the launch of three 4G LTE capable phones next month in India, all priced between 3,000 and 5,000 rupees ($45 - $75 USD). The tablet manufacturer also revealed that it's applied to become a virtual network operator, boasting unlimited data plans that cost 99 rupees a month ($1.50 USD). What it is: Google's new Google Neural Machine Translation (GNMT) system works on whole sentences instead of its previous phrase-based machine translation (PBMT), improving accuracy results by 60% on average. This neural network improves efficiency by refining data through successive layers of neurons, then stacking, decoding and composing the layers into a translated sentence. The system's limited leniency for error in each layer enables Google Translate to provide results with greater accuracy than ever before.